Boys observed and sketched masks from a variety of cultures in preparation for a related unit in art. Sixth graders visited the Oceans Exhibit as part of their Digital Universe Field Study. Before the holiday break, fourth graders delivered their individual presentations on an aspect of ancient Egyptian civilization. 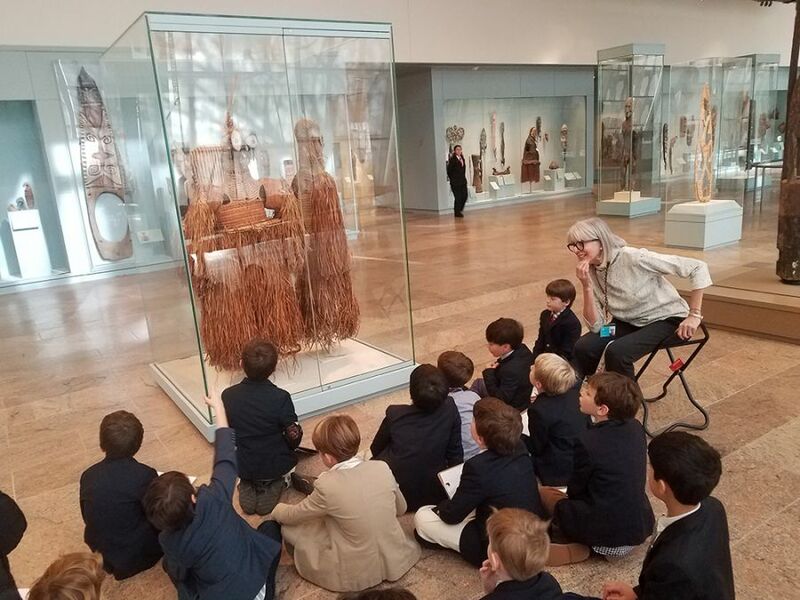 Second graders completed their unit of study done through our partnership with the museum. Before the break, Saint David's held its annual Recorder Consort and Advent Service of Lessons and Carols, a cherished school tradition. The 2018 Christmas Gathering, held Monday, December 17, 2018, honored Robert Renner, Class of 1958, as Alumnus of the Year. The First Grade Christmas Pageant delighted all in attendance.